The weather is nice and the boys of summer are back at Victory Field. 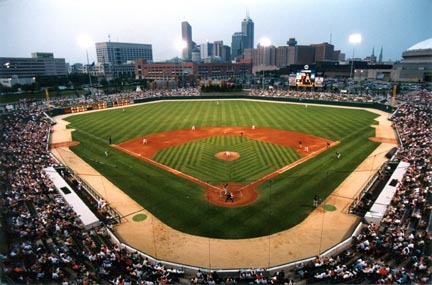 The Indianapolis Indians, the Triple-A affiliate of the Pittsburgh Pirates, kicked off their season in April and will be playing at Victory Field through September. The 12,200-seat stadium known as one of the best minor-league ballparks in the country is also a hit when it comes to parking. There are more than 6,000 spaces within an easy walk of the ballpark, and rates are typically just $5. For more information and to book your parking spot in advance, check out our Victory Field Parking page.